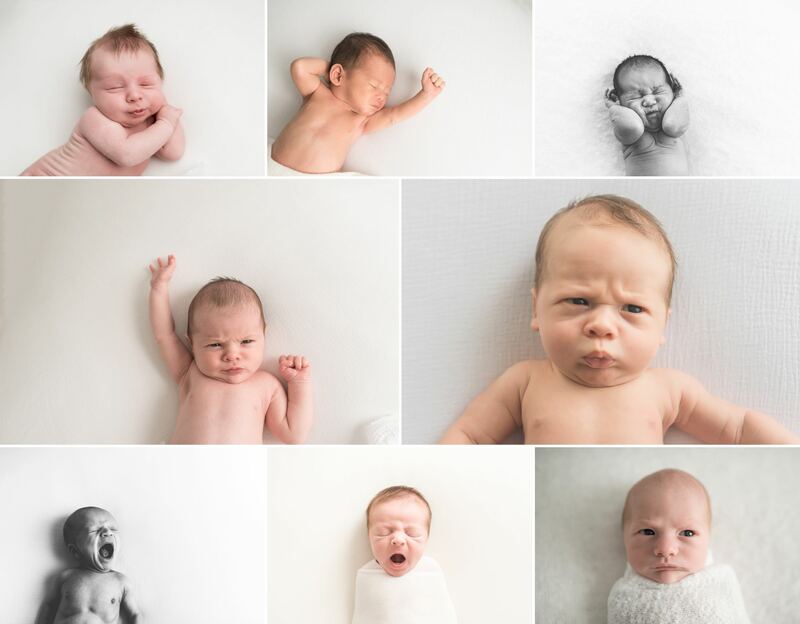 I sometimes get asked how I capture the perfect facial expressions at newborn sessions. 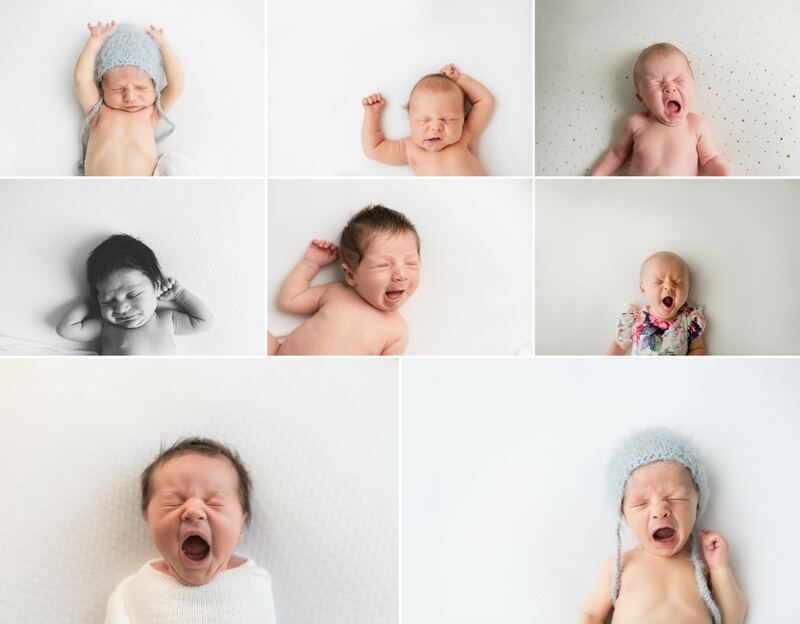 I wish I had some magic formula to make a baby yawn or squish face and the truth is that some babies are very expressive and some you have to work a bit harder for. 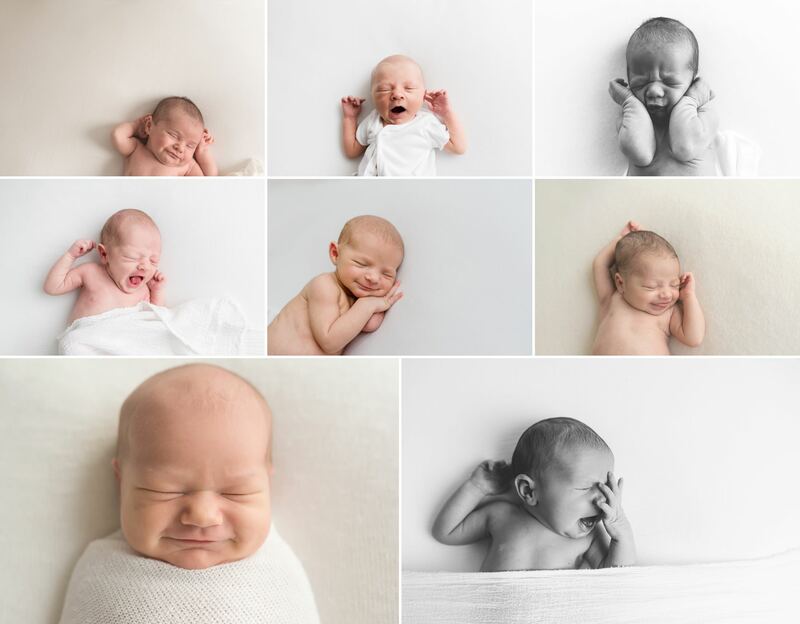 These are my favorite images, so I will tell you my secrets because I think the world needs more natural newborn photography. 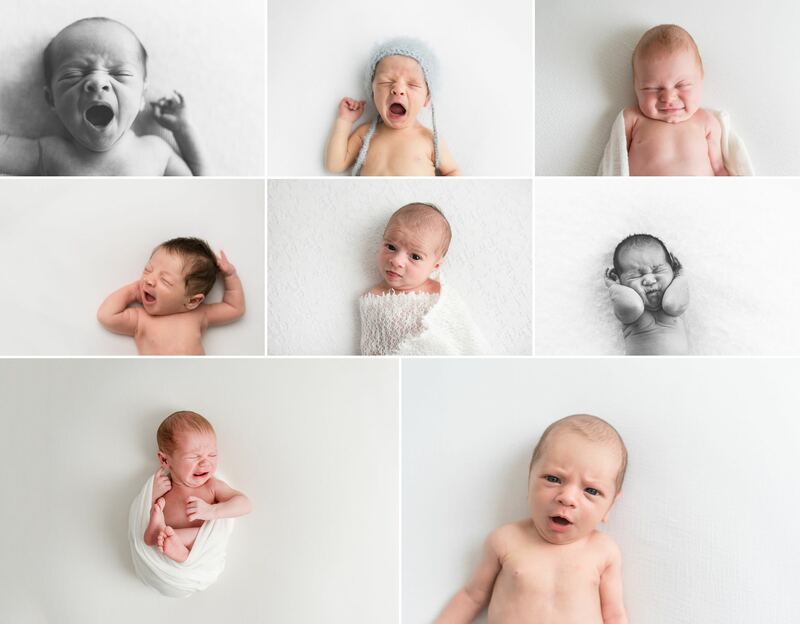 Look for the signs- A baby that is deeply sleeping might give you some smiles (which is AWESOME) but you probably won’t get many yawns or squish faces. The best time for an image like these is right when baby is waking up. That is when they will give you the silly faces, big yawns, maybe even a sad face or two. These are totally unique to each baby and a great way to show their personality. Be ready- If you can be on top of your game, you can captures these images! I get baby all positioned correctly, and I love to capture these from above so I have baby laying on a flat, soft surface. I prefer light background so baby’s skin shows through. Take Em Fast– Be ready to take your photos quickly. Sometimes I can take 10 really bad images for each one good image. The crazy faces can sometimes look too crazy, so we have to keep shooting until we get an image that speaks to us! That’s it! Babies are naturally cute and making these images isn’t too hard. These are heirloom images that these babies and families will have forever and I adore taking these for the families. Interested in having me capture your baby like this? Contact me!